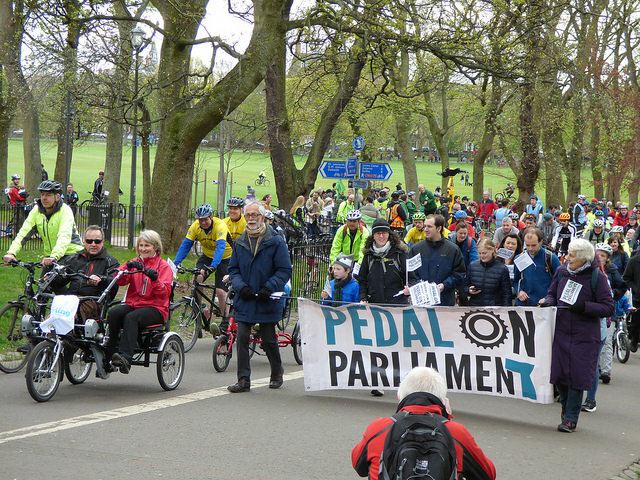 Our sixth annual Pedal on Parliament took to the streets of Inverness, Aberdeen and Edinburgh today but there’s more to come! Read all about today’s events in our press release below – and join us in Glasgow Green at 1pm tomorrow to do it all again! Three cities across Scotland rang to the sound of bike bells today as people took to the streets to demand better conditions for cycling. 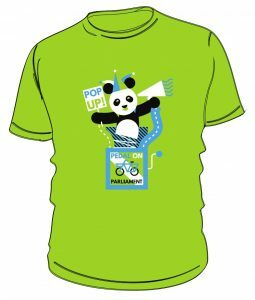 The sixth annual Pedal on Parliament went national this weekend with mass rides in Edinburgh, Inverness and Aberdeen. Another is due tomorrow in Glasgow where the minister of Transport, Humza Yousaf, will speak. Despite cold spring weather, thousands flocked to the Meadows in Edinburgh, for what the police estimated was a record turnout, taking over the city’s historic heart as the riders wound down the Royal Mile to the Parliament buildings. Led out by the Talking Tandems, whose riders don’t let visual impairment keep them off two wheels, the grassroots protest attracted cyclists of all kinds, with many families, and even some marchers on foot. Braving rain in Aberdeen, a hundred cyclists including many children rode out bringing a similar call for investment and safer roads to the council headquarters there. Over 120 turned out for the first ever POP in Inverness – where showers fortunately kept the speeches short! 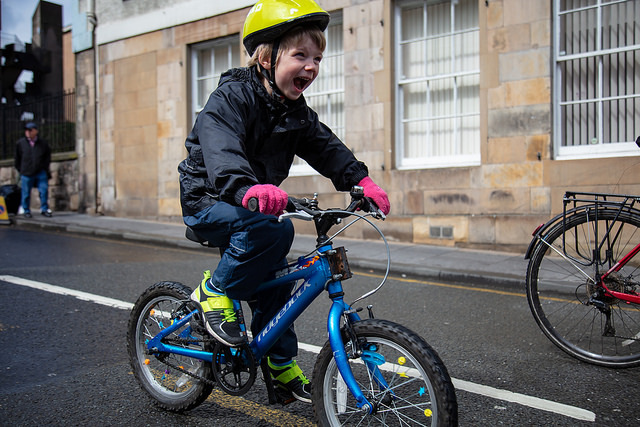 Speaking at Holyrood, Alison Johnstone for the Greens said, “If we invest properly in cycling we can cut congestion, and air pollution and tackle obesity and children can cycle to school. If you look at what happens in the Netherlands children have independence – and where people can cycle easily it benefits those on low incomes the most. This is not a niche activity, it benefits us all.